Hello everyone. (Hallo, alle miteinander. Wie geht es Ihnen) I hope you have been absolutely fine. 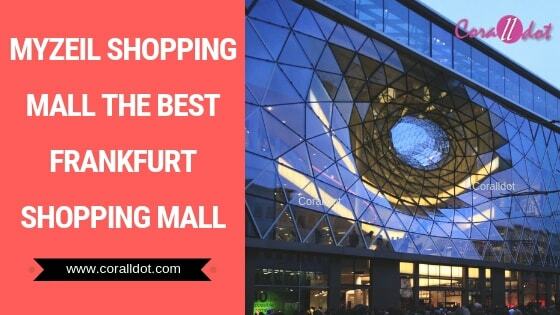 If you are searching for the best shopping mall in Frankfurt Germany then read today’s article MyZeil shopping mall the best Frankfurt shopping mall So let’s start today’s topic. MyZeil is one of the biggest shopping centers in Frankfurt located conveniently located in the heart of the city center. It was designed by Massimiliano Fuksas a Roman architect and inaugurated on 26th Feb 2009 has been commended by the ICSC (International Council of Shopping Center) for its unique architecture and urban design qualities in the New Developments category. The building is what you will notice at first. From the top floor of the MyZeil shopping mall has a panoramic view of the city, and has a big photo of all city as a wallpaper carpet. It looks beautiful at night. The 77,000 square meter structure includes shops, leisure spaces, kids areas, restaurants, fitness center and parking. Myzeil shopping mall provides a variety of shopping opportunities with major brands. ABERCROMBIE & FITCH, ACCESSORIZE, ADIDAS ORIGINALS, BERSHKA, BIJOU BRIGITTE, GUESS, VANS, THE STING, REPLAY, GANT, CLAIRE’S, HOLLISTER etc. DM-MARKET, FLYING TIGER COPENHAGEN, MYZEIL TICKETSHOP, NANU-NANA, ODLO etc. If you want to bring your own car and come with your family the MyZeil shopping mall has Barrier-free parking, which is available throughout the car park. The charging stations for electric vehicles can also be found in the parking garage on the individual parking levels to charge your electric cars. The parking garage is open for all for 24 hours. The parking control center is located in the parking garage on the level-A in (U2). There are more than 1,300 parking spaces available around the clock at the MyZeil / Palais Quartier car park. It also has a parking guidance system with a parking display to help you to part your vehicle easier. We feel that during the weekend when the visitors are more then it’s little difficult to find a space for parking. Dog Station in the mall. If you are having a pet Dog with you then you need not to worry about that. MyZeil shopping mall allows Dog on a leash. In addition, the mall also offers fresh water every day at the dog bar on the ground floor which is very unique and useful for all the people having their Dogs visit the mall. The shopping center MyZeil is open for window shopping. Some cafes and restaurants are open on Sundays. Defenightly YES. Come with your family and friends. 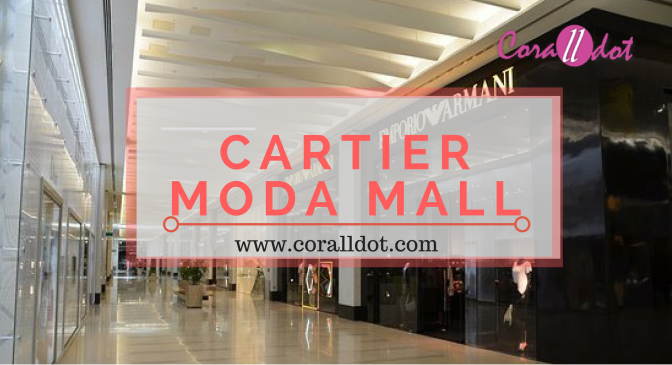 It’s a must visit once in week place where you could enjoy shopping, food, entertainment etc. So I hope you have enjoyed reading today’s article on MyZeil shopping mall the best Frankfurt shopping mall. If you like visiting the MyZeil shopping mall then comment below your experience.